Renowned for its madrassas and archives of rare Arabic manuscripts, Timbuktu is famous as a great center of Muslim learning from Islam’s Golden Age. Yet Timbuktu is not unique. 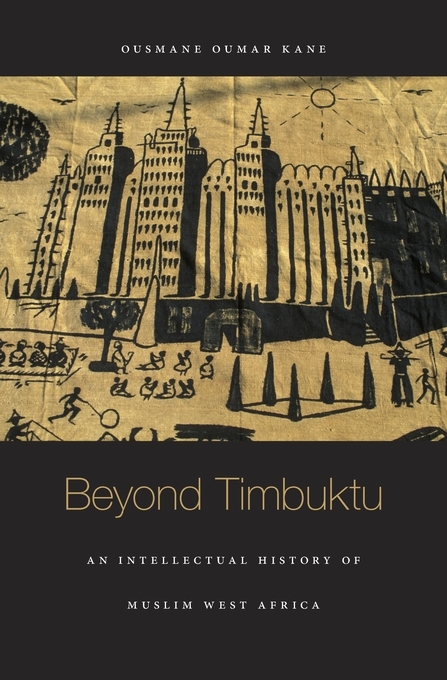 It was one among many scholarly centers to exist in precolonial West Africa. 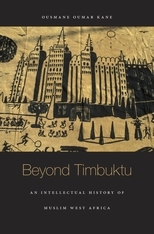 Beyond Timbuktu charts the rise of Muslim learning in West Africa from the beginning of Islam to the present day, examining the shifting contexts that have influenced the production and dissemination of Islamic knowledge—and shaped the sometimes conflicting interpretations of Muslim intellectuals—over the course of centuries. Highlighting the significant breadth and versatility of the Muslim intellectual tradition in sub-Saharan Africa, Ousmane Kane corrects lingering misconceptions in both the West and the Middle East that Africa’s Muslim heritage represents a minor thread in Islam’s larger tapestry. West African Muslims have never been isolated. To the contrary, their connection with Muslims worldwide is robust and longstanding. The Sahara was not an insuperable barrier but a bridge that allowed the Arabo-Berbers of the North to sustain relations with West African Muslims through trade, diplomacy, and intellectual and spiritual exchange. The West African tradition of Islamic learning has grown in tandem with the spread of Arabic literacy, making Arabic the most widely spoken language in Africa today. In the postcolonial period, dramatic transformations in West African education, together with the rise of media technologies and the ever-evolving public roles of African Muslim intellectuals, continue to spread knowledge of Islam throughout the continent.